During a season in which we honor our veterans, it is only appropriate to recognize the family that stands behind them. Military families know sacrifice. Long separations and deployments, numerous relocations, along with the persistent conflicts and risk of losing a loved one – these are just a few of the extraordinary contributions made by the families of our service men and women. Military families are the backbone of our country. They are the quiet and steadfast presence at home supporting our soldiers with personal courage and pride. It is this vital support which sustains and strengthens our soldiers and, ultimately, our nation. 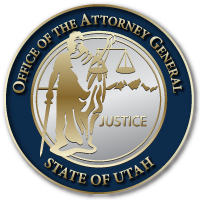 This entry was posted in Recent Posts and tagged Military Family Appreciation Month, Utah Attorney General's Office on November 9, 2018 .